As Unite’s period dignity campaign goes from strength to strength, with more and more employers signing up to commit to providing free sanitary products in workplaces, the union is breaking down barriers for women in a sector that’s been particularly tough to crack – construction. While the majority of all workplaces have a long way to go in providing period dignity to their workers, what women face in construction is far beyond what most of us can imagine. In a recent Unite survey, women in construction revealed that it isn’t only free pads and tampons that they don’t have access to – decent toilet facilities are often missing altogether. Another respondent highlighted that even though a women’s toilet is technically available, she would be reprimanded for driving to the depot to use this toilet. “I’ve often been in trouble for driving to use the depot to use the facilities even though it’s the only toilet I have access to with a sanitary disposal bin,” she said. One member told of how she is forced to keep sanitary products in her toolbox because there are no machines in the toilets. When she raised the issue with her health and safety department, she was treated dismissively in the same way that so many women in the sector are. “I was told to keep [the sanitary products] in a drawer in the office – but I don’t work in an office? !” she reported. As part of its survey of women in construction, Unite has found such attitudes reflected across the board – more than 50 per cent of respondents said they believed their skills were not appreciated or recognised in the workplace, with 65 per cent saying that their employer had failed to make adjustments in the workplace to make it easier for them to carry out their roles. 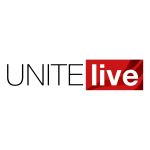 It’s these entrenched attitudes to women in construction in general, as well as specific facilities access issues, that Unite is hoping to tackle with its sector-specific period dignity campaign launched today (January 16). As part of the campaign, Unite is asking construction companies to commit to four policies, including ensuring each site or depot has a designated female toilet, which is always accessible, regularly cleaned and lockable, as well as ensuring there are handwashing facilities with running water and soap provided. Sanitary bins, which are cleaned and regularly emptied, should be provided, as should sanitary products, ideally free, in a dispenser in a discreet location. The first trailblazer to sign up to Unite’s construction period dignity campaign is a Glasgow University Campus site being built by the firm Multiplex; more sites are expected to sign up in the coming weeks. Unite assistant general secretary Gail Cartmail welcomed Multiplex signing up to the campaign and pledged to highlight other firms that join the campaign and honour its four commitments. In its work to spread its campaign, Unite has written to all construction activists, supplying them with a campaign pack and asking them to work through health and safety committees and lobby management to get the campaign’s policies adopted. Find out more about Unite’s construction period dignity campaign, and how you can get your employer to sign up here.